Since the creation of the car, there has been a fascination with speed and pushing the boundaries of car performance. In the 1920’s and 30’s, Land Speed Record holders such as Malcolm Campbell, Henry Seagrave and John Cobb were household names and the names are still familiar today. 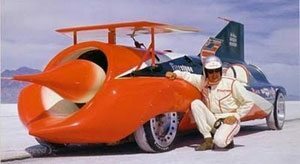 Fame for the driver and car were assured, making international headlines whenever the Land Speed Record (LSR) was attempted or broken. 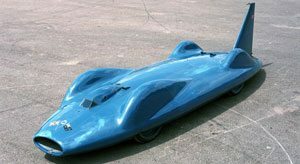 After World War II the race started again and in the 1960’s there was another surge in interest when Donald Campbell took over from his father Sir Malcolm Campbell and made history by challenging for the World Speed Records on land and water and breaking both. The LSR was broken by Campbell in 1964 on a dry Lake Eyre, South Australia. The attempt by Donald Campbell in Australia lit a spark in a lad of twelve called Rosco McGlashan and also produced a battle royal between the Americans, Craig Breedlove and Art Arfons in the latter part of 1964 and through 1965. 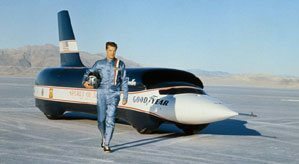 In that period, the record was broken seven times and raised by nearly 200 mph with the introduction of jet engine powered cars (unlimited category). The rivalry has been the subject of many documentaries and culminated in 1965 with Craig Breedlove breaking the 600 mph barrier. 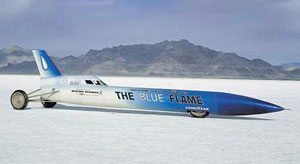 The record did not change hands again until 1970, when drag racer Gary Gabelich and The Blue Flame raised the record to 622 mph (1,001 km/h). In 1983 the British took the Land Speed Record back from the Americans with Thrust 2, driven by Richard Noble with a speed of 633 mph (1,019 km/h) and the British have held the record ever since. Andy Green broke the record twice in 1997 with Thrust SSC and his final run pushed the record to where it stands today with an average of 763 mph (1,223 km/h), the first supersonic record. 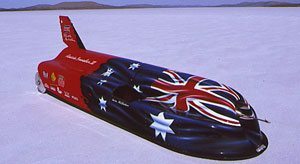 In 1994, Rosco McGlashan broke Donald Campbell’s Australian Land Speed Record with a car called Aussie Invader II at 500 mph (802 km/h) and then crashed it at nearly 600 mph trying to raise it further. 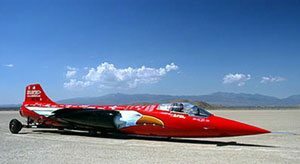 In 1996 with a new car, Aussie Invader III, Rosco recorded a one way pass of 638 mph (1,028 km/h), this was actually faster than the current record, but bad weather prevented a return run, and the record did not change hands. 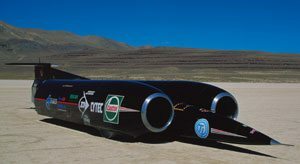 In 1997 before Rosco could make another attempt, the British raised the bar further by reaching 763 mph (1,223 km/h) and breaking the sound barrier in Thrust SSC, driven by Andy Green. 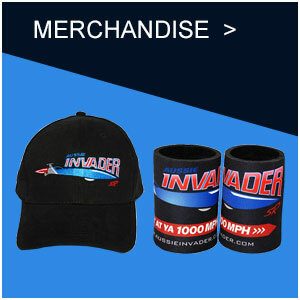 This increase in speed made Aussie Invader III redundant, and over the next 10 years a new car was being designed and planned. Now the race is on again! 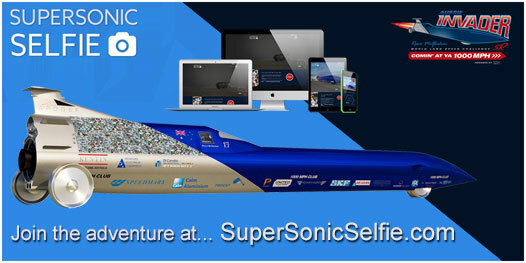 Three main teams are in the race to break the Land Speed Record and two are looking to hopefully raise it to a 1,000 mph. The three teams are the USA/Canada with North American Eagle, the current record-holders from the UK, with a new car Bloodhound SSC and Australia’s rocket powered challenger, Aussie Invader 5R. The Aussie Invader team is led by driver and builder, Rosco McGlashan OAM. The Brits and the Aussies are both building cars capable of reaching over 1,000 mph, where as the Americans are currently looking to break the existing Land Speed Record of 763 mph and have a completed car. 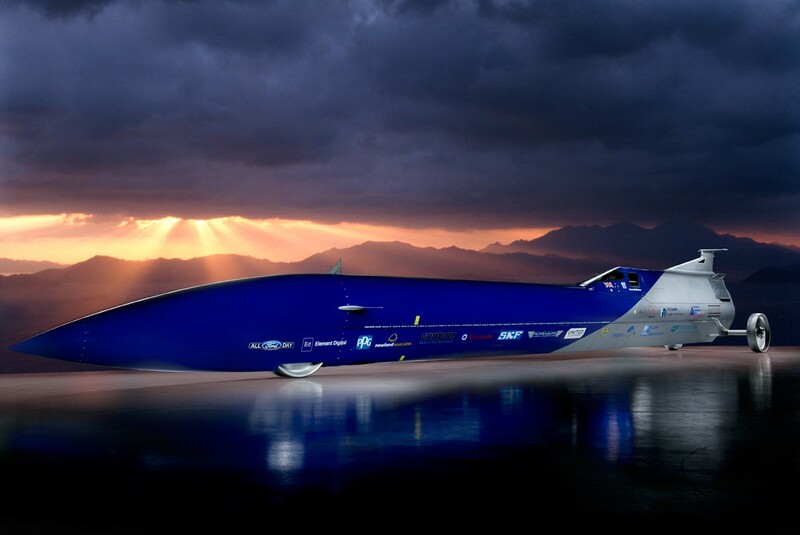 Breaking a 1,000 mph on land will push man and machine beyond anything that has gone before. 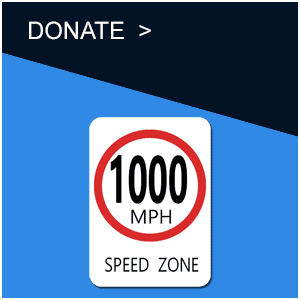 This milestone in LSR history will not be achieved overnight and the record will almost certainly be increased in increments to limit the danger to the drivers as much as possible. At these speeds the forces on the car and its components will be massive and systems and handling will need to be tested thoroughly as the boundaries of technical development, man and machine are pushed to the limits. 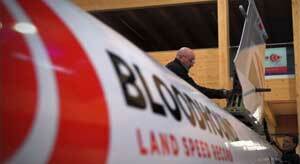 After each attempt or series of attempts, the vehicles will need to be analysed and checked and possibly refined. This means that the LSR record could be broken on numerous occasions and possibly by different teams, hopefully creating global media interest. The legendary Peter Brock once called Rosco McGlashan “A person who absolutely gives it a red hot go”. As the driving force behind The Aussie Invader team, McGlashan is determined to realise the dream he has spent over 45 years chasing. He sets his goals high and will not stop at being “THE FASTEST AUSSIE ON EARTH”; he now intends to be the “THE FASTEST MAN ON EARTH”. 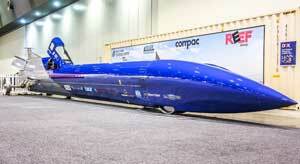 To reach a speed of 1,000 mph (1,600+ km/h). Aussie Invader 5R is the most powerful of the current three challengers, with 62,000 pounds of thrust from its bi-propellant rocket engine. The total power output from the motor has been estimated at 200,000 hp, making it the most powerful LSR car ever built. The engine is being developed with existing technology, but also some pioneering development and Rosco and The Aussie Invader team are very excited to be working with several new and established rocket experts to bring this motor to life. Aussie Invader 5R has the potential to create LSR history and is likely to break many records as it approaches 1,000 mph. Reaching each of the incremental milestones will add to the excitement and media interest. The exposure the team will create in Australia and abroad, will assist in creating global awareness of the competition between the three nations and their cars.